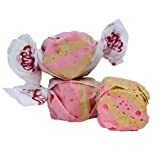 When you're in-between stuffing yourself with real bacon, now you can satisfy those insatiable cravings for the candy of meats with these cool new and slightly disturbing alternative, Bacon Candy. 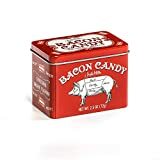 Yes, the bacon obsession has gotten completely out of hand and is now available in old-fashioned red and white striped hard candy form. These holiday candy decoys may look like refreshing peppermint, but they're actually just sweet and smoky swine.